hy, how to i change the colors in this cirprog ? for ex. 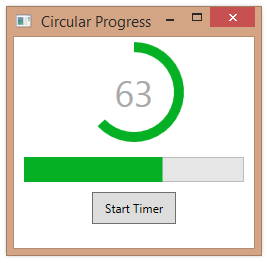 initially i want the cirprog to indicate yellow then green with progression. You can probably just set the Stroke property of the underlying Shape. Since you want to do this as progress changes, I’d look at using a data trigger.